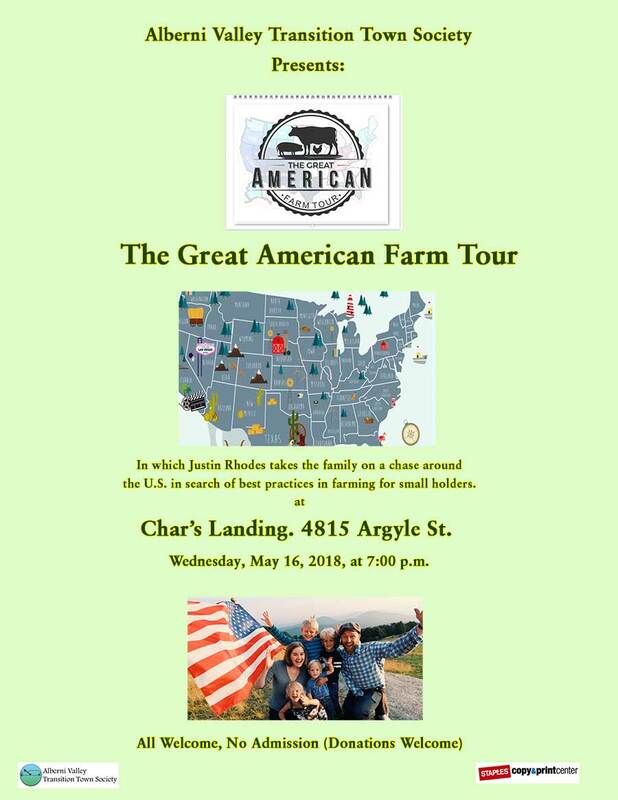 Come along to Char’s next Wednesday and catch some really folksy (and heavily accented) family fun as Justin Rhodes visits some interesting sites and learns about different aspects of what’s current in growing all manner of food. This is an interesting narrative from a man who works at the Jet Propulsion Lab in Pasadena, and the adaptations he’s made to bring his way of living more into harmony with what he believes in relation to carbon levels and climate disruption. As usual, the public is most welcome and there is no charge for admission, though anyone wishing to make a donation to help defray costs for the venue and the film license is more than welcome to do so. The agenda for the meeting, starting at 6:00 p.m. will be available early next week. 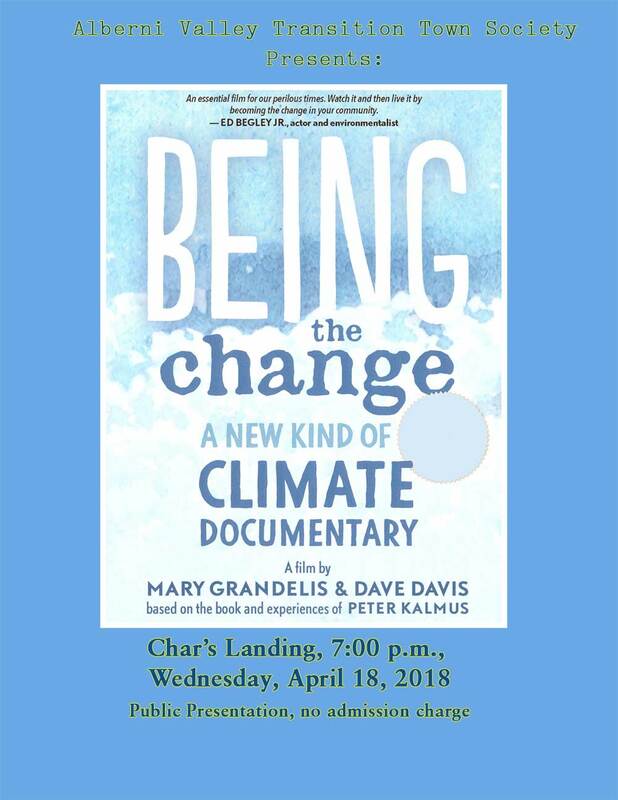 Film starts promptly at 7:00 p.m., this all taking place at Char’s Landing on Wednesday, April 18, 2018.